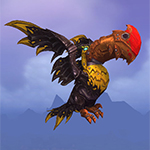 La Giungla di Tanaan, che è stata aggiunta con la patch 6.2, aggiunge 15 nuovi scontri per mascotte: I Piccoli terrori di Tanaan! Queste mascotte sono simili alle Bestie Leggendarie, ma usano meccanismi diversi. Invece di essere solo molto forti per conto loro, portano con sé alcuni amici dalle aree circostanti, proprio come gli scontri tra mascotte all’aperto. 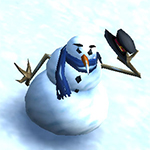 Queste mascotte aggiuntive sono scelte in modo casuale e questo rende il combattimento leggermente diverso ogni volta. Si parte sempre con la mascotte leggendaria, che ha caratteristiche ed abilità proprie. Ma un’abilità è comune a tutte le mascotte di questo tipo: la Vilcorruzione. Non solo causa un considerevole danno a tutta la squadra, ma potenzia in modo significativo anche le mascotte avversarie in riserva. 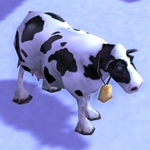 Avendo inoltre un tempo di ricarica di soli tre turni, è necessario finire lo scontro con la mascotte leggendaria al più presto, prima che l’uso di questa abilità distrugga la tua squadra. Sulla destra trovi il percorso consigliato che puoi seguire per sconfiggere tutti i piccoli Terrori. Funziona sia con la cavalcatura di terra che volante, sia che tu parta dal campo Orda o Alleanza. Il menu a sinistra segue lo stesso ordine. O se preferisci averlo sotto forma di Macro, dai un’occhiata a questo set di macro creato da Prudentius. 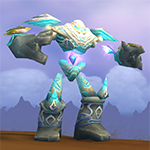 Una volta sconfitti tutti i Terrori di Tanaan, sbloccherai l’impresa: Piccoli terrori di Tanaan. 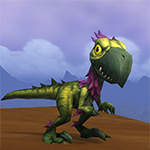 My Emerald Proto-Whelp shows here as missing but correctly on my collection page as collected. An effect like this happens when a strat suggests 2 of the same pet and you have only 1. Currently I can see this too. Strat #565 is the culprit. All 15 Fights, using the above 12 pets. I've never failed a single fight using these. Use "Import Teams" in ReCount and copy this string. hosted on Pastebin because of character limitations here. 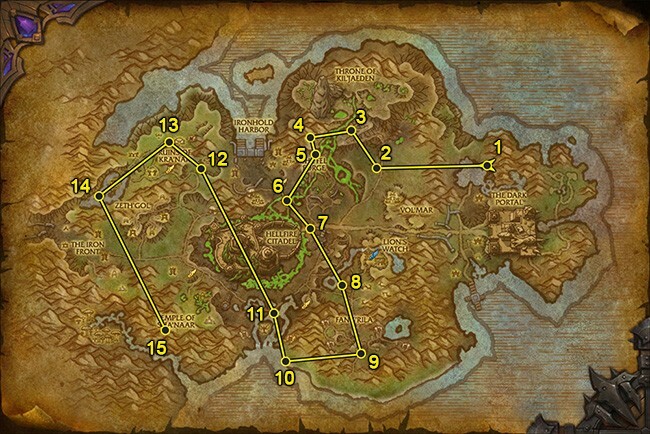 This addon shows all the Tanaan Jungle pets (and other tamers/daily quests in other zones) on your map with little paw icons. The icon disappears when you've completed it for the day and reappears when you're able to battle it again. SO helpful!! It's great that you added the map and cords, However the cords currently appear to be in the reverse order to the map and the pet listing. Ex. 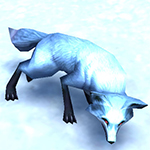 Chaos pup is #15 on the map and last in the pet listing. Defiled Earth is #1 and first on list. Fix the cord list and everything will match up. Ex. Chaos pup is #15 on the map and first in the pet cord listing. Defiled Earth is #1 on the map but last in the pet cord listing. 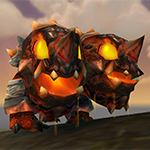 The Dream Whelpling can be used as a Tanaan pet or replacement for the Emerald Proto-Whelp as it has the Emerald Moveset used by EPD in almost all pet fights. Plus is dreamy! 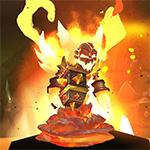 Is there a reason for going from Mirecroak all the way to Cursed Spirit and then going back to Chaos Pup? Chaos Pup is so close to Mirecroak, it makes more sense to me to go Mirecroak -> Chaos Pup -> Bleakclaw -> Felsworn Sentry -> Cursed Spirit. 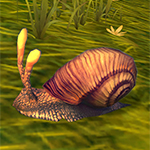 The biggest advantage I see in the route you use is being able to hearth out and not have to return to Tanaan Jungle. 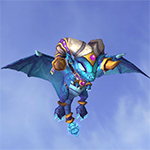 A P/P Dream Whelpling has the same moveset and stats as a P/P Emerald Proto-Whelp. 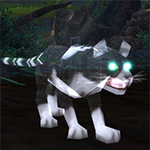 I know Wowhead is claiming only a B/B breed exists, but I have a P/P so the data is incomplete. Wowhead indeed hasn't caught up. 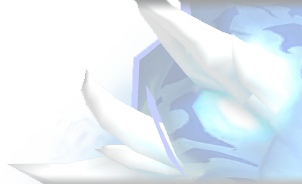 It still shows B/B Dream Whelpling, which is just what they always put as a placeholder until they get around to it. There isn't a B/B. 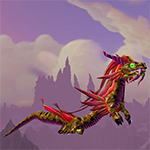 While the Dream Whelpling has the same stats as an EPW, it doesn't have exactly the same moveset, but you can choose Emerald Bite, Emerald Presence and Emerald Dream in the same slots you would find them on an EPW, so it is a suitable replacement for the EPW in Tanaan. Very good thought. I changed it accordingly and added a link to your comment :) Thank you! Would you perhaps indicate the breeds for the pets you recommended? 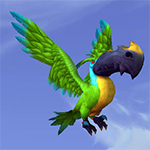 I'm about to buy a Zandalari Anklerender, but I'm unsure which breed to buy. Thanks! Wherever a specific breed is required, I make a special note on the strategy page. About 99% of my strategies however do not require specific breeds. 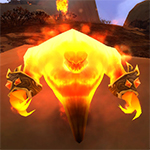 I'm aware of some mistakes especially with Direflame and will fix those today. For the Anklerender, it's really hard to say. Many prefer the P/P breed, while others the P/S. I don't really have a strong opinion on it to be honest.